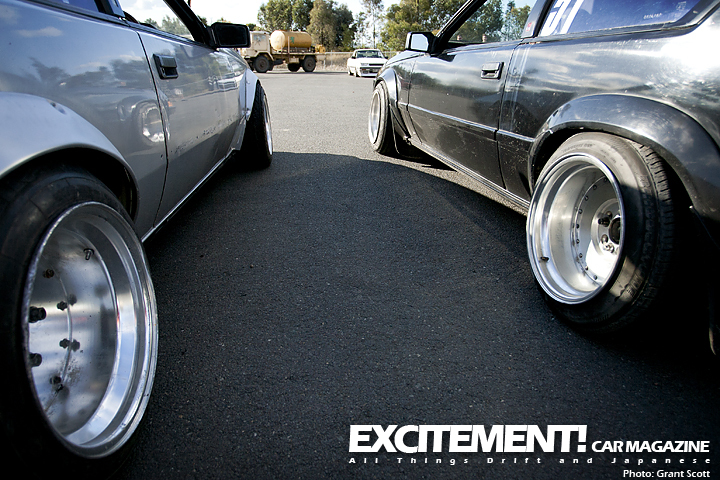 Shared: via Excitement Car Magazine | ShakotanJam! 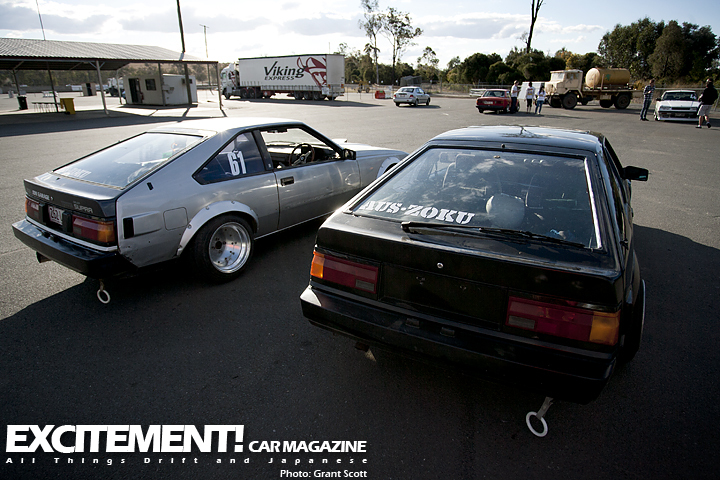 Grant Scott; who happens to be an affiliate of mine, rad drifter, and awesome photographer posted an article featuring JohnZoku’s and his mate Zac’s MA61(s). I have only chatted with John a few times over the interwebz but he seems to be quite knowledgable and quite the radman that his cars, blog, and lifestyle portray. I was very excited to see another MA61 that has fallen in the correct hands, these Aus guys really know how to do it. 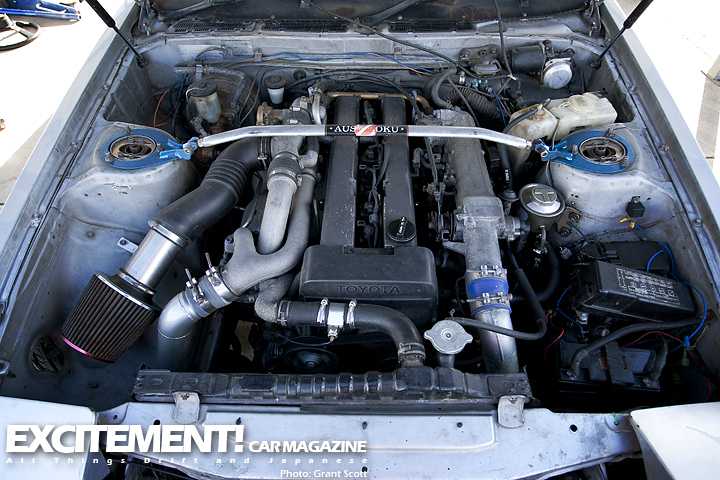 Marv’s 2.8i – a great example of one of these A6 chassis coming out of the land down under. I remember when some FadLacer posted the second pic on FagLace.com and Marv immediately, umm, spoke some sense into them; and for that Marv, we thank you. LOL! 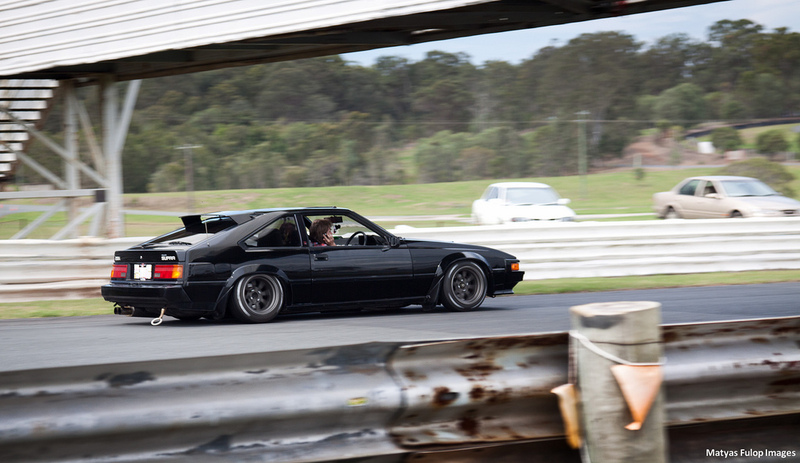 Dual tip exaust, wide Wats with stretched R-compounds, and dragging Tsurikawa — all true to form. Moving onto John’s MA61, er technically JZA61 I suppose. 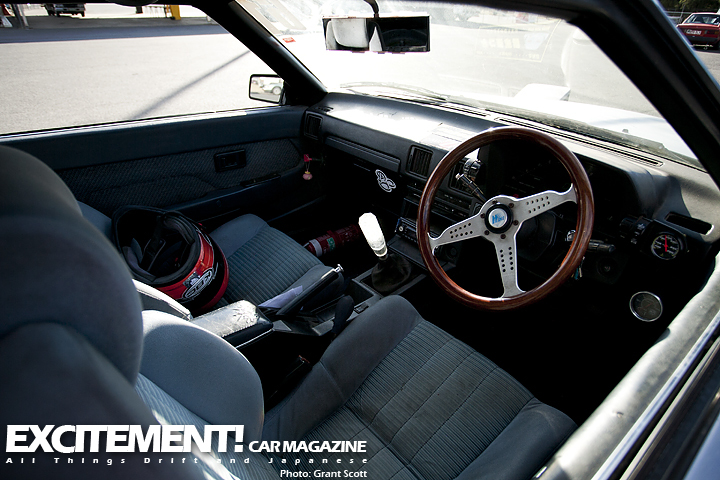 Original paint, OG interior, Wooden wheel of steering, and a few gauges to monitor the Monster 2.5l of a inline 6 known as the 1JZ-GTE and to top it all off — a novelty shift knob to guide the R154’s forks to select the correct gearing. MMM NOM. Seen below are two shots taken by Grant Scott displaying the natural beauty that John and Zac have created. Comrades, soon I will join you. 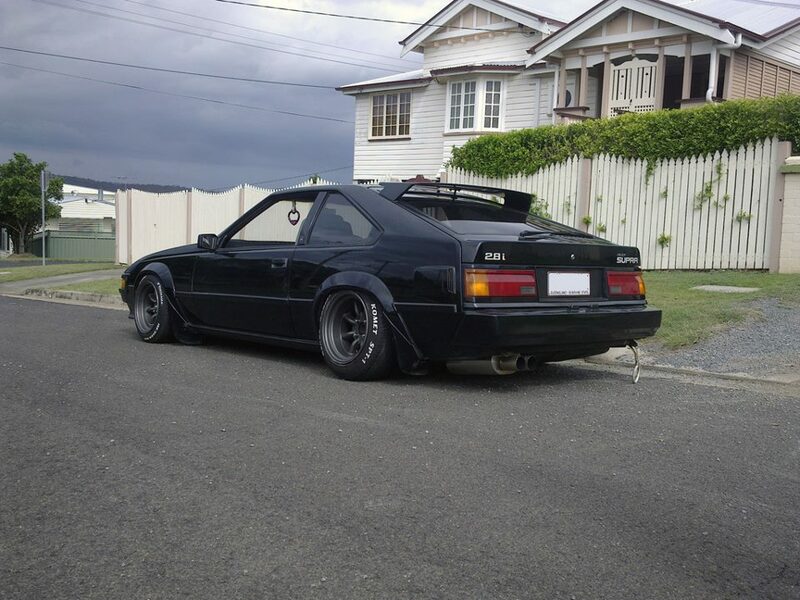 15×8.5 -8 SSR Mk-1′s, 15×11 -25 Mk-1’s, 15×10 -40 Mk-2’s, 15×10 -48 Enkei HR385, 15×8.5-27 Centerline Autodrags, another set of 15×10 -54 Enkeis, and even some 15×10 -11 Southern Ways Epsilons; WHATDAFUCK U THANKIN’?! 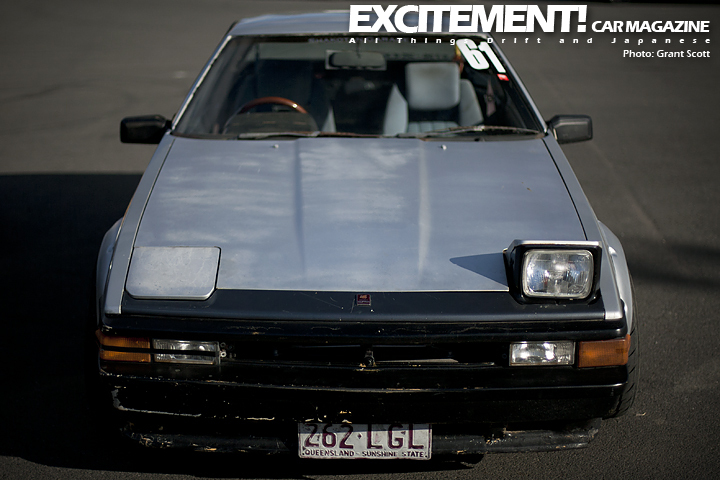 Stay tuned for more shots of A6 chassis from Aus and even another Feature Spotlight on John’s and Zac’s MA61s.